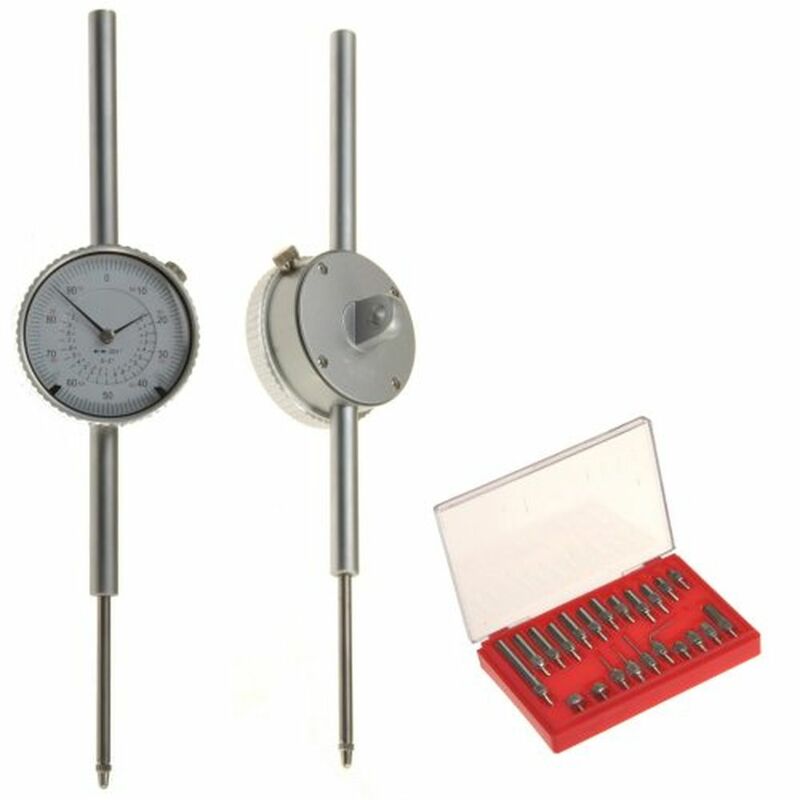 Dial Indicator: Fine tune your machinery by adding a dial indicator to your set of tools. This 2" stroke dial indicator features large, easy to read numbers and crisp graduations. Each revolution is 0.100", indicated by the revolution counter. The resolution is 0.001". There is a mounting lug on the back of the case.